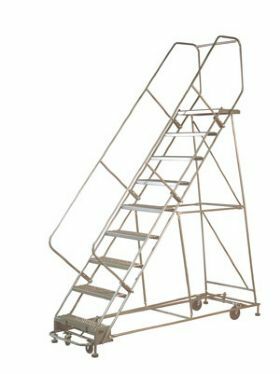 Material Handling Solutions is your source for industrial ladders, rolling ladders, safety ladders, dock ladders, rolling stairs & Warehouse Ladders. 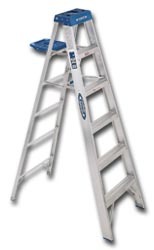 We carry a variety of ladders such as rolling ladders, safety ladders, aluminum warehouse and rolling ladders, fiberglass ladders, crossover ladders, extension ladders, and step ladders. 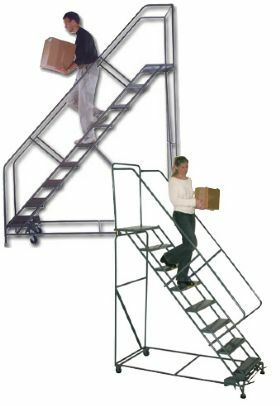 Some of the ladders we also have in stock include standard & safety angle ladders, tip-n-go ladders, aluminum flat d rung extension ladder, stairway slope ladders-two styles and m2000 rolling safety ladders. 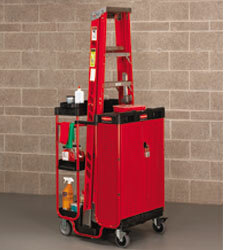 Rolling Ladders provide an easy and safe solution for order retrieval and reaching inventory on high shelves in your warehouse. 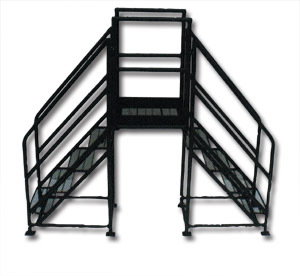 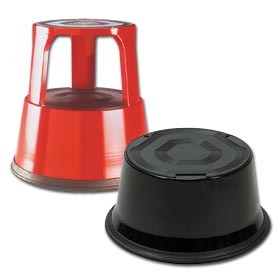 Our rolling warehouse ladders provide safety features like pushing the gate forward will raise the wheels off the floor and allow for safe access to the ladder, Pushing the ladder gate backwards will lower the wheels to the floor that will restrict access to the rolling ladder and allow ladder to be moved. 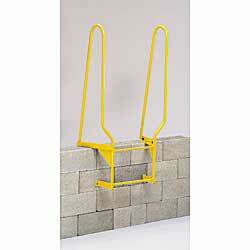 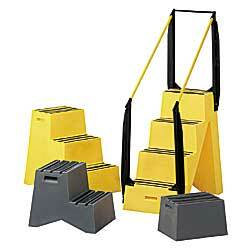 Please take your time and check out all our web site for more commercial ladders and other industrial equipment. 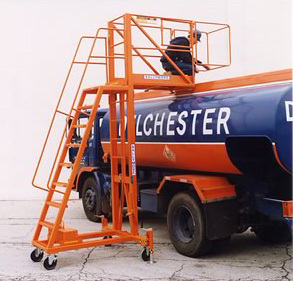 If you have any questions please call toll-free and a specialist will be happy to assist you.